I decided to pair the Thanks & Giving Stamp Set with the Grateful Heart Paper Collection and create this beautiful box. It would be fun to create a bunch of these and then fill them with some candy corn, M&Ms or similar to use as place settings for Thanksgiving! 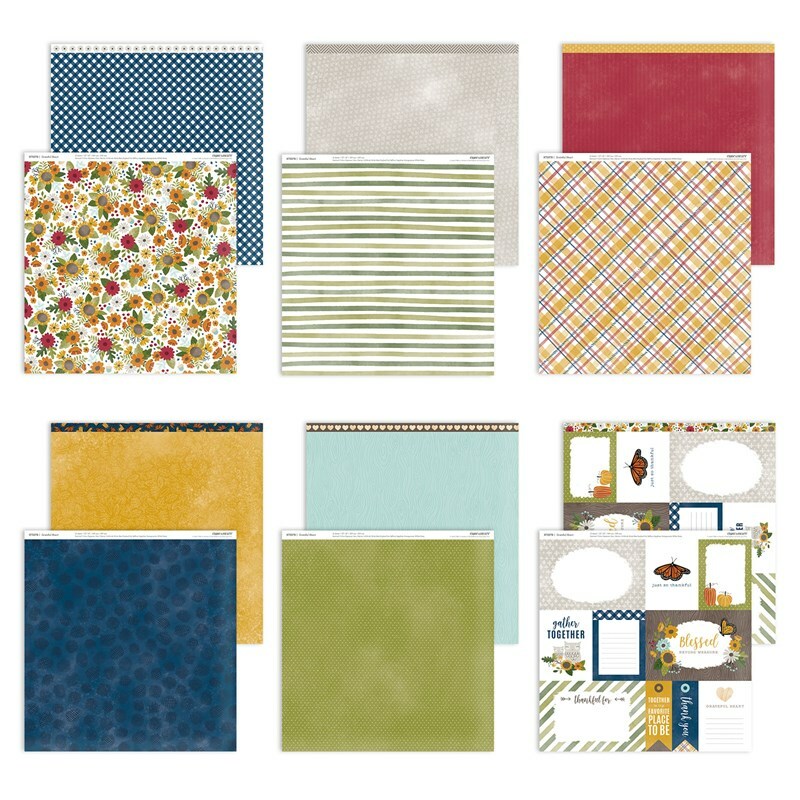 The rich color tones of the papers and patterns in the Grateful Heart Collection are right up my alley. I tend to gravitate toward the warm hues of fall naturally. Plus, I’m so in LOVE with the sunflowers in the one pattern! 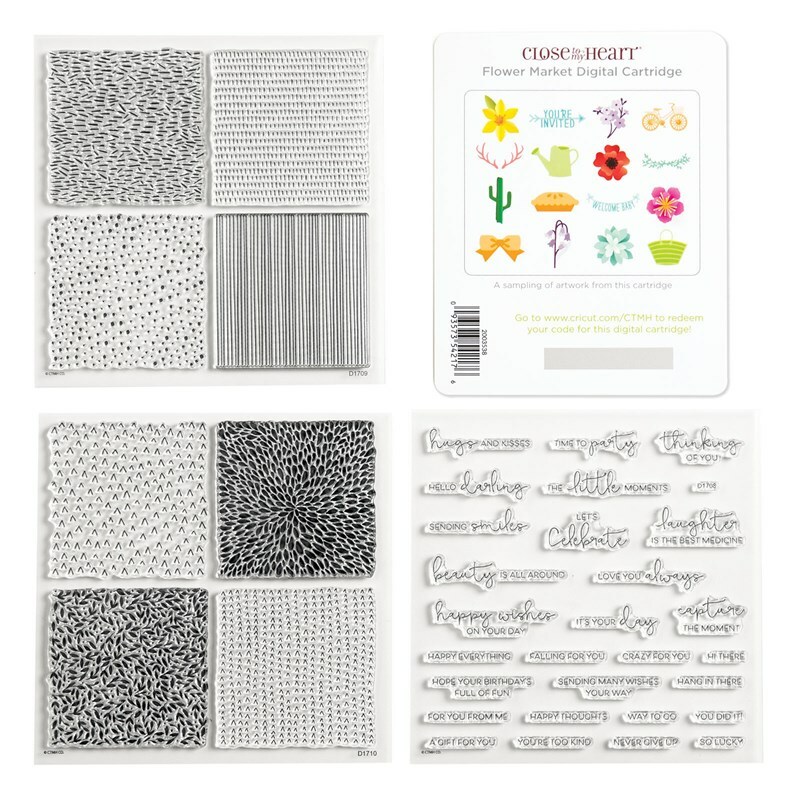 I wanted to be able to duplicate the feel of the sprigs and leaves in the Thanks & Giving Stamp Set without having to do a bunch of fussy cutting so I turned to CTMH’s Cricut Flower Market Collection to cut out similar images. In addition to using the Grateful Heart Papers, I decided to use our Gold Foil Paper, too. It adds some nice shine to the project. 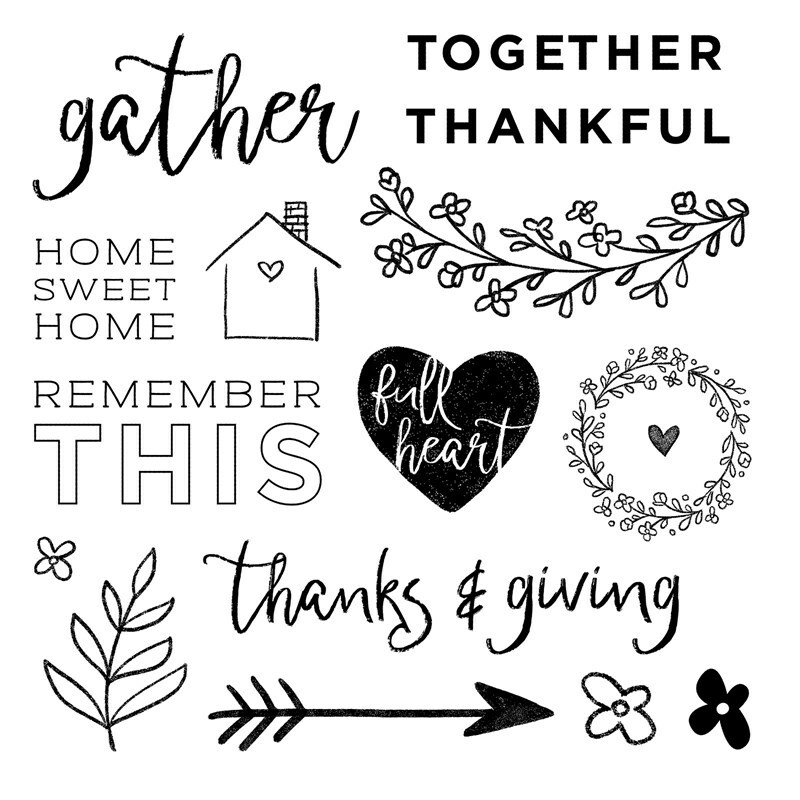 To create a base for the “Thankful” cluster, I cut out a stitched circle in the Sapphire Pattern Paper using our Stitched Circle Thin Cuts Dies. I find I turn to this set of dies A LOT. 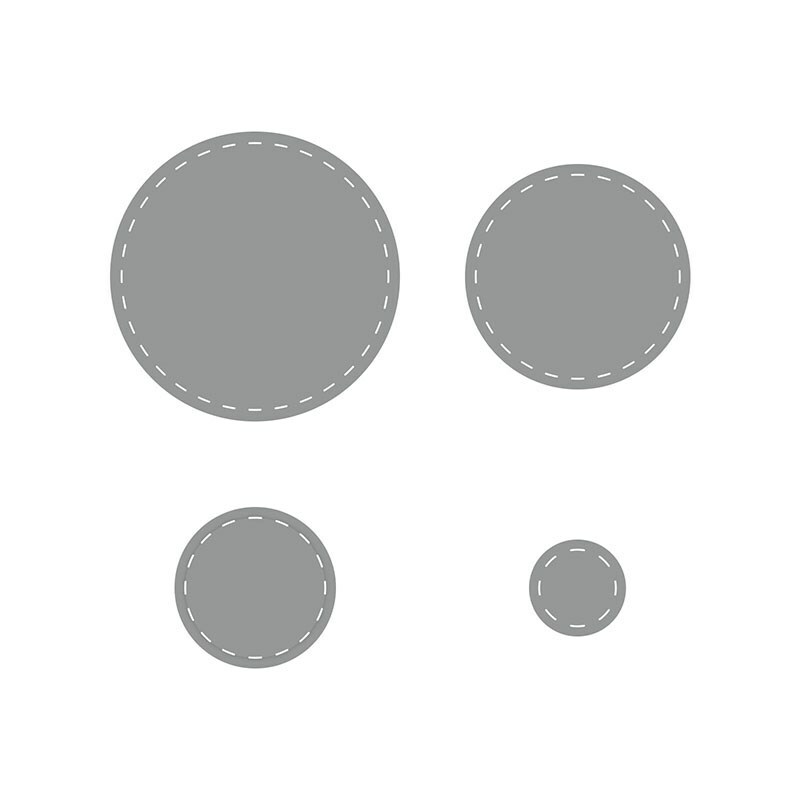 So if you are looking for a super useful, super versatile die set–this is one to get! Oh, and I almost forgot–the important part–the clear boxes! I got them on Amazon. They are 2″ Clear Boxes. You can find them in a variety of quantities to meet your needs. If you need any of the items listed above or any other Close To My Heart products, please visit my ONLINE CTMH STORE. 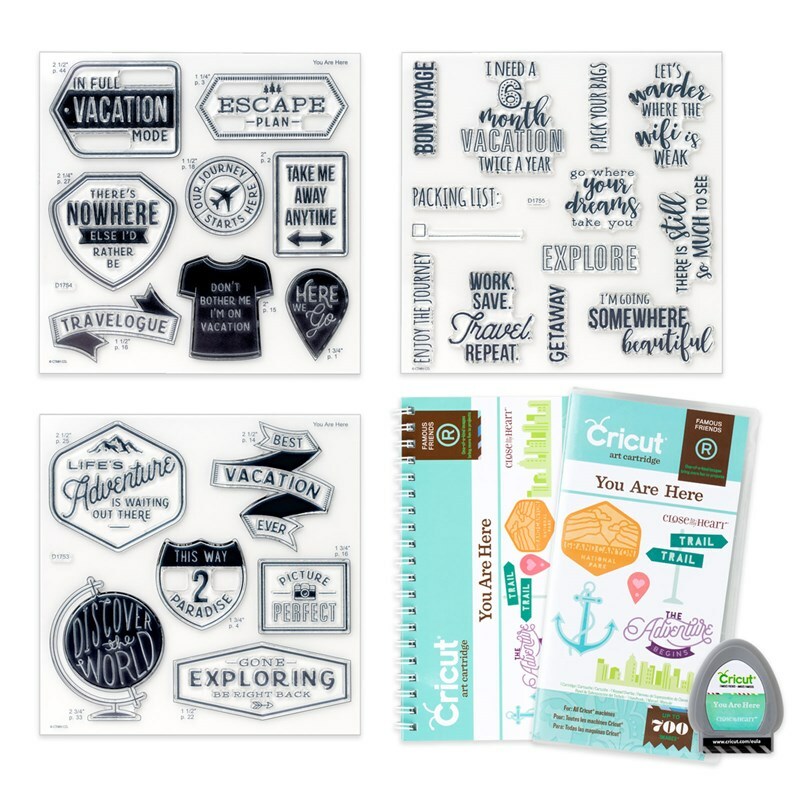 This entry was posted in 3D item, CTMH Cricut Projects, Holidays and tagged Cricut Flower Market, Cricut You Are Here, Holidays, Stamp of the Month, Thin Cuts. Bookmark the permalink.